Generally fishes well March through October, weather pending. From its headwaters near Walden, Colorado to Seminole reservoir, the Upper North Platte River is considered a freestone river. Flows are determined by mother nature rather than man. The float season is determined by the amount of snow pack accumulated through out the winter and precipitation through out the summer. In a good year with above average snow pack and good precipitation through out the summer the float season will last all summer and into the fall. In a bad year the float season may only last a couple months. The Upper North Platte River is the most challenging section to fish and guide. The sections are long, the flows and conditions can change on a daily basis. Not to mention the shuttles are long and the country is hard on vehicles, boats and guides. Plus the fish are as wild as they come. This equals lots of low pressure fish. Guess that is why we love it. Hatches in the spring start with BWO’s (pre-runoff) then it’s salmonflies and caddis. By late spring early summer most of the hatch consists of yellow sallies, PMDs and occasionally drakes. Seems like there are more drakes on the Platte every year and less on the Encampment. Our most consistent hatch is the Trico hatch. Generally starting in late July or early August, tiny mayflies in super clear water makes for quite the challenge, but also a lot of fun. Tricos last into the fall when they combine forces with BWO’s. 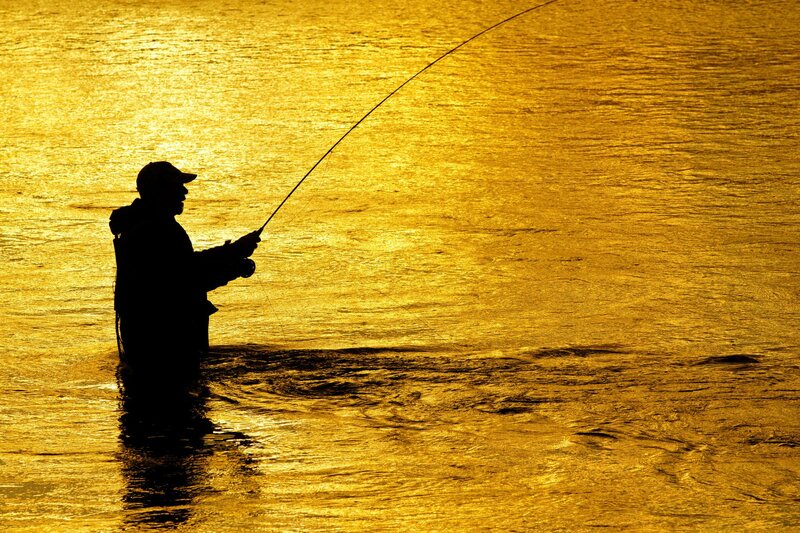 What make the upper a true destination is the quality of fishing. On any given day all three methods of fly fishing will produce fish .Classic western landscape and abundant wildlife add to the experience. The Upper is considered Blue Ribbon trout fishing from its head waters to the town of Saratoga.